Homes sales in Monroe CT for May 2016 showed a 32% INCREASE IN SALES compared to May 2015. 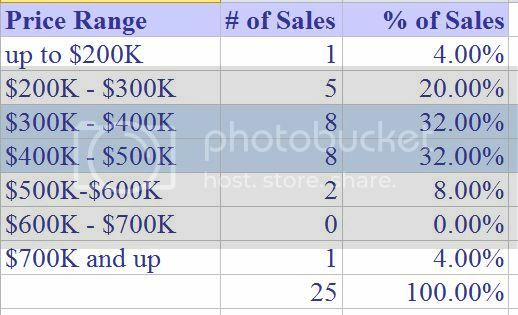 Average list and sales prices both INCREASED 5% with the median going UP 7%. Visit this link to understand the difference between median and averages. The market absorption rate was at 4.56 months. Translated it would take 4.56 months to sell off the present inventory of 114 homes keeping Monroe in a seller's market statistically for the month. 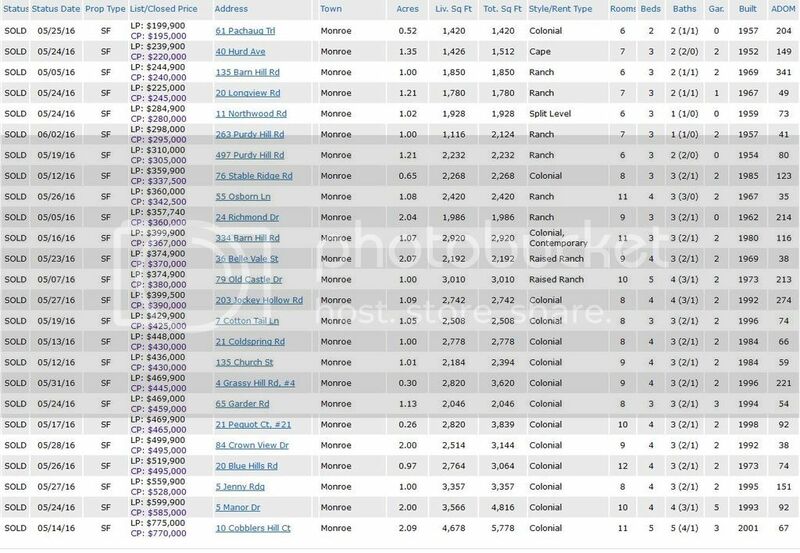 Futures show 25 houses under deposit and 41 properties under contract. Sellers: Please read Biggest Home Seller Mistakes if you are thinking of listing your home. Don't make the #1 biggest mistake! .... you KNOW what it is. Which houses attracted buyers and sold in Monroe CT in May 2016? The absorption trend, which shows the number of months it would take to sell the entire inventory at the same pace, came in at 6.22 for the last three months, which statistically is a buyer's market. Nice rebound in sales from the previous months, going up 177% since March and 19% since April.. The 'sweet spot' for sales this month was in the most popular $300 - $400K range as well as up one range with both claiming 64% of sales. No matter which range you are in, prepare your home wisely for a sale. Refer back to the 'home seller mistake' link above. 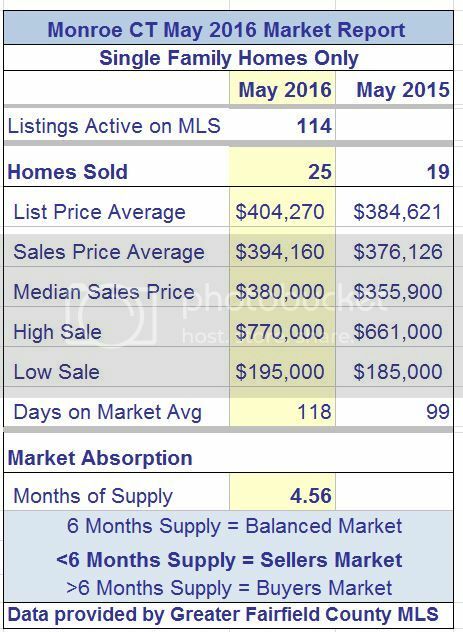 Date Source: Greater Fairfield County Multiple Listing Service -- June 25, 2016. No representation or warranty is made to the accuracy of this information.